In the madness following Glorious Forever’s barnstorming win in Sunday’s Longines Hong Kong Cup, an unknown opportunist seized the chance to get a photo with the Group One-winning star. While the staff of Frankie Lor Fu-chuen’s stable posed with the four-year-old, a mystery man also strode out onto the track and planted himself front and centre of the photo. Once Jockey Club officials realised something was amiss, they were quick to usher the imposter from the track and normal service resumed. However it seems no one knows who this man is and his brash, gutsy and – no doubt to some – foolish performance evoked memories of pranksters past. Perhaps the first prankster to spring to mind is Karl Power. Englishman Power is perhaps best known for walking onto the field with Manchester United before a Champions League match in 2001 and taking his place alongside Andy Cole in the team photo. He also walked out to bat with the England cricket team in a test match, and took to the court at Wimbledon for a hit with an accomplice before a Tim Henman match, among others on a long list of crafty pranks. 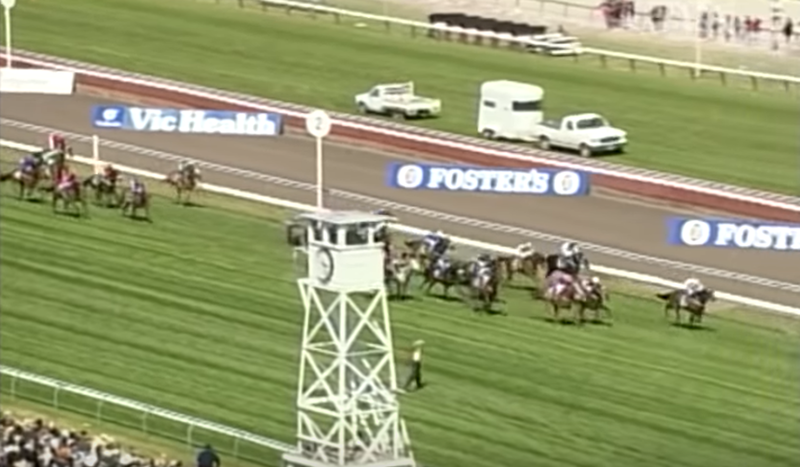 Australian Hore was more downright destructive than crafty, cutting the net in a World Cup qualifying match between Australian and Iran in 1998 and running onto the track during the Melbourne Cup in 1997. Hore risked the safety of the horses and jockeys when he hopped the fence and posed for photos as the field thundered down the home straight, but thankfully the race continued as normal. Then there were Australians Morgan Ruig and Evan Shay, who posed as top Australian golfers to play in the North Korea Amateur Golf Open in Pyongyang in 2016, tailoring “official” Australian team jackets as part of their clever, albeit dangerous, charade. And who could forget “Manchester Olympic blaggers” Zac Alsop and Jamie Rawsthorne, who swindled their way onto an open-top bus parade through the streets of Manchester for the British Rio 2016 Olympic team by buying Team GB tracksuits, plastic medals and posing as fencing champions.